As we age, the body's ability to make collagen protein slows down, so there is insufficient new collagen for skin, joints and other parts of the body. 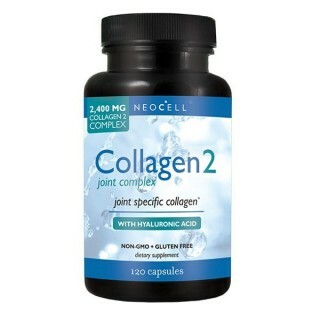 Collagen Type 2, derived from chicken sternum, provides numerous benefits. It has peptides that serve as building blocks for triggering natural collagen production, and is specific to cartilage tissue function, reproduction and maintenance. Naturally present hyaluronic acid and chondroitin provide all the components to encourage healthy cartilage and joint lubrication. Type 2 Chicken Sternum Collagen is also tolerated by most people, and is gluten-free, dairy-free, and non-gmo. Scientiﬁc studies show that more than 90% of the collagen found in the body is Collagen Type 1 & 3. 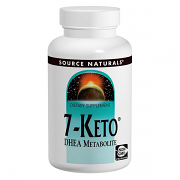 The protein composition consists of nineteen amino acids responsible for the growth and maintenance of the body with unusually high percentages of glycine, proline, and hydroxyproline, which are all found in the skin and muscle. 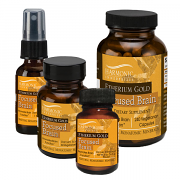 For maximum benefits Collagen Type 1 & 3 and Type 2 should not be combined at the same time. Each type has different amino acid profiles and is produced by different cells in the body - Types 1 & 3 by fibroblasts and osteoblasts, Type 2 by chondrocytes. Research has shown that combining Type 1 and Type 2 collagen may reduce the stimulatingeffects at the cellular level. While combining the types is not dangerous, taking the different types of collagen separately throughout the day for the supplement to be as bio-active and effective as possible. This gives each type the opportunity to stimulate the correct cells without interference by the incorrect type of collagen. For example: take Type 1 & 3 in the morning and Type 2 at night, or vice versa. This narrated presentation discusses collagen's role in the body and introduces NeoCell's potent collagen and hyaluronic acid supplements. NeoCell has been developing and manufacturing all natural, premium anti-aging formulas for over 20 years and is the leading collagen brand in the world. Their products are naturally based, not synthetic, and are designed to promote youthful health, beauty and total body wellness. They manufacture their own products using carefully sourced food-grade raw materials and their facility exceeds all GMP standards. They strive to continuously bring the best to their customers – products that they and their own families are proud to use, made with Nutrients You Can Trust®. Ingredients: Sternal Chicken Collagen - Natural chicken collagen Type 2 protein containing: Hyaluronic Acid (HA), Glucosamine, and Chondroitin. Does Not Contain: Soy, wheat, lactose, starch, yeast, or artificial flavors. GLUTEN FREE and NON-GMO. Warning: If you are pregnant, nursing, or have a medical condition, consult your physician before using this product. KEEP OUT OF REACH OF CHILDREN. As a dietary supplement, take four (4) to six (6) capsules daily with six (6) ounces of orange juice or vitamin c drink. For maximum absorption, take on an empty stomach. If you are also taking a Type 1 & 3 collagen, such as Super Collagen Power or Super Collagen + C, it is suggested to take that in the morning and Type 2 at night, and don't take either with other types of proteins. Taking collagen on an empty stomach or with a little juice will prevent your body from getting confused by the different proteins in food, and will ensure the collagen protein travels to cartilage effectively.